Gerardo “Jerry” Ascencio is the Broker-owner of San Fernando Realty-Mission Real Estate, and the Chairman of the NAHREP Foundation. 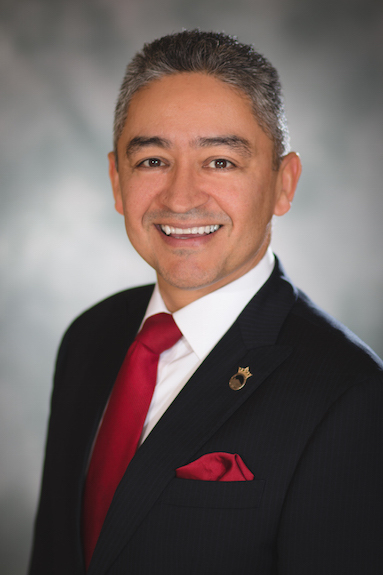 A 25-year veteran of real estate, he is also the 2012 former president of the National Association of Hispanic Real Estate Professionals (NAHREP). NAHREP is the largest minority real estate trade association in America with over 20,000 members and 35 local chapters nationwide. Jerry is widely recognized as one of the most charismatic speakers in the real estate industry today. A native of Michoacán, Mexico, Mr. Ascencio’s own immigrant experience has made him an impassioned advocate for homeownership and economic empowerment for all Americans. Between 2012 and 2014, he anchored 100 episodes of ESN, NAHREP’s highly successful YouTube talk Show. In 2014, Jerry starred in 53 Million and One®, a one of a kind theatrical presentation that chronicles his extraordinary life story. The show premiered at the NAHREP National Convention and Latin Music Festival in Los Angeles, California and is being prepared for a national tour in 2015. Jerry also serves on the board of the National Community Stabilization Trust. He is the founding president of the NAHREP San Fernando-Santa Clarita chapter and has also held local leadership roles with the Southland Regional Association of REALTORS®.